A new network has been established by UK scientists to advance and promote research into cryobiology – the effects of extremely low temperature on living organisms and cells. The UK Cryonics and Cryopreservation Research Network is being coordinated by Dr Joao Pedro de Magalhaes, a Senior Lecturer at the University of Liverpool’s Institute of Integrative Biology, who studies the molecular basis of ageing. Cryopreservation is the process of placing cells, organs or even whole organisms at low temperatures so that they remain in a state of suspended animation and function is preserved. At present, cryopreservation technology is only successful for cell lines and very small tissues. More research is required before whole organs can successfully be cryopreserved while retaining their biological integrity. The network is made up of a group of UK researchers from Liverpool, Cambridge and Oxford who, together with international advisors, aim to advance research in cryopreservation and its applications, including the idea of cryopreserving whole humans, commonly known as cryonics. 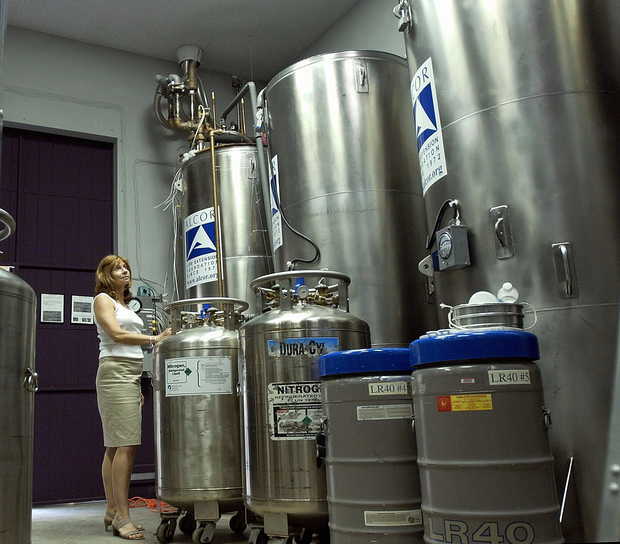 Cryonics has been a topic of much debate over the years, with many scientists doubting whether current cryogenically frozen individuals can ever be brought to life. Dr de Magalhaes said: “Although cryonics is not feasible at present, technological breakthroughs in cryobiology may, in the future, decrease the amount of damage to levels that permit reversible cryopreservation.